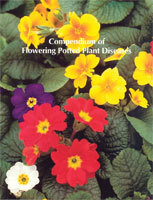 A reference for the diseases that affect flowering potted plants. Because many potted plant species are typically produced with one operation, it is especially challenging for the grower to be thoroughly informed regarding all the potential disease problems. Regular monitoring should be conducted with full awareness of the diseases important to each crop. 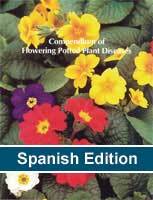 This book is an essential reference to preventing, diagnosing, and controlling diseases of most flowering potted plants. 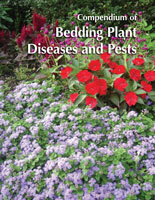 Complete pathogen descriptions, excellent color photos, and step-by-step advice will make this ideal for the grower and diagnostician alike. Anemone Leaf Curl Caused by Colletotrichum sp. 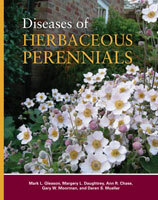 Diseases Caused by Pythium spp. Diseases caused by Soft Rot Erwinia spp.